Correct Wheel Sizes, PCD, Offset, Rims and Tire specs for Subaru Impreza series. Can i fit 18" rims in my 2004 lagacy? And 17" rims in my forester? If yes which diamensions will be perfect? Hi,Thusoyaone Pence.For your 2004 lagacy,Yes.18'' rims can fit for.The diamension will be 18*8.5.For your forester,Can you show me the car year? Can I use my P215/60R16 on my 2015 Subaru Impreza ? 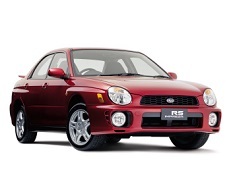 What would be the prefect offset and wheel size for a 2006 subaru impreza? Hi,J,the wheel size is17*8.0.the offset is 45.the pcd is 5*100.
can i put 15" wheels on a 84 gl hatch with a 2" lift? 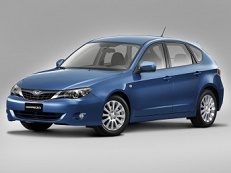 Can 15 inch alloy wheels from a 2005 Impreza be used on a 2012 Impreza which came standard with 17 inch wheels? Hi,Steve,Yes.it can fit for.But if possible,You'd better find other 16'' wheels from impreza. John: Thanks for the quick help! 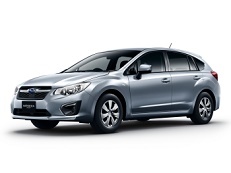 May i ask about my 2012 subaru impreza 2.0 manual. I am changing my OEM wheels with size 205 x 55 x 16 (5 x 100pcd) to a 2015 subaru impreza wrx OEM wheels with size 235 x 45 x 17 (5 x 114.3pcd) offset 55. I wish to know the width of the adaptor/spacer i will need so that the new wheels will fit perfectly in my stock body wheel wells. Hi,Jp,Are you sure you want to use 5*114.3 PCD car wheels to replace your 5*100 pcd wheels?Even you use adaptor,It also make your car drive unsafe. Hi, I want to know if I can use 7,5x18 rim(Prodrive GT1) with offset 48 with 225/40x18 on my Impreza 2,0 Diesel from 2012 without scrub my fender or suspension element. Thanks, but my stock tyre size is 205/50/17(Written on sticker near the driver door and fitted on my stock wheels) and stock wheel offset is 55. So new tyres 225/40/18 will be more big than 20mm, 10mm each side rim so dont know if it dont scrub my fender, could be good side suspension. Hi, I've got a 2000 2.0 WRX AWD came with 17" prodrive. I just got some 18 225/40 prodrive, fitted them but there's some scrub on full lock and on rear pressure. Can these tyres fit, if so is the suspension what's the problem? Thanks. Just had a look at the tyres. The front are run flat low prof Pirelli 225/40 88Y. The rear are continental XL traction 225/40 92w is the extra 1 on the width the problem? Might be transmitting sound through the chassis. I can't figure it out. Thanks in advance. Just to add, the car's rear axle is a modified rally, but from what I know nothing altered the rear dimensions. The car is decat with a straight pipe and the block is modified with a rally block (up to 1000bhp) block with a vf 38 installed. Would the extra weight be anything with this? The guy I bought the block said that the weight wasn't extra, just a more solid forge. But again, I'm not a tech. Thanks again. Hi,Mike,the stock tire size for your car is 215/45/17,So ,according to the result of tire calculator,225/40/18 tire are compatible for your car.You mean the tires scrub your car,is right?If yes,Can you also show your wheels size?I can help you confirm whether the wheels and tires are ok,If they are ok,The problem may be comes from other car parts. Hi john, I can't seem to upload a picture of the rims. Is there anyway I can upload a pic? I took the car for tracking yesterday and they told me there's about 10mm of space between the shock guard and the edge of the tire. Any advice? I can't load the car with even another person without there being a slight graze. I have a 2007 Impreza 2.5i. I'm looking at the konig Integram rims. Would the 17x8 fit? And what PCD and offset? Is it okay to upgrade my air cleaner to sports air cleaner? The thing is, theres a sensor on it,is't effect if i do something modification? 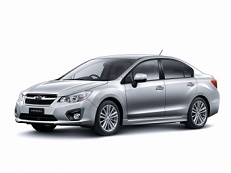 My subaru model is version 10 impreza 1.5. Need help on this thank you. Hi,Riff,You'd better confirm it to a air cleaner dealer. what is my stud pattern on a subaru impreza rs 2007 ? Hi,Guy Holman,No,They have different bolt pattern,Some have 5*114.3 for 2009 and 5*110 for 2001. Hi,Guy Holman,The biggest wheels isze is 20''. 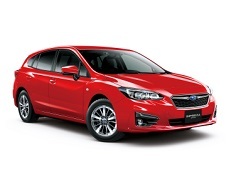 For a 2016 basic Impreza 5-spd manual sedan using factory 15x6 rims, will 205/65/R15 tires fit rims & car OK? I want to decrease engine turns per mile by increasing tire diameter; over 250K miles it adds up. Advisable? Your thoughts, please. Hello, I wonder will 2008-11 wrx wheels fit my 1999 Impreza outback sport? If not, how can I make it to fit? My brother's friend had those on his 1998 Impreza Wagon. Never get chance to speak with him. Hi,Luka,You need firstly confirm does these two car wheels bolt pattern is same.Wrx have bolt pattern is 5*114.3 but outback have 5*100 and 5*114.3.if they are same.You can use it. Will 5x100, 6.5" wide, 15" inch wheels fit my car? Hi, I have a 2006 Subaru impreza 2.5i, the with the 205 55 r16 tire, can I put a 225 55 r17 tire (with rim)on it. What will happen? The stock alloy rims on my 2006 Impreza 2.5i are Subaru B66, 16X6 1/2 JJ 55, which appears to not be what you have listed. Hello, D Guild! 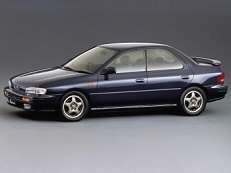 205/50R16 89H with 6.5Jx16 ET55 has always been listed as the original size for Subaru Impreza 2.5i 2001-2007. 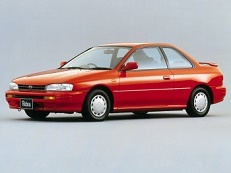 I have 91 subaru impreza outback sport. Cant ever find anything on it. Wanna know biggest tire i could do on stock rim? Can i get tiny rims like jeeps do for out in the woods? Hi,Rick rouse,What your current tire size and wheel bolt pattern?I can help you confirm it. Hi,Chilando sakati,Can you show your current tire size? Hello there! 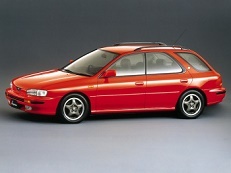 I am planning to replace my factory rims for a 2006 subaru impreza 2.5i station wagon. What will be the correct sizes of rims that would fit my car. Thank you! My tire size is 205/55/r16 i just want to know what are all the possible sizes of rims that would fit my car. Hi! I would like to ask that what tire, and wheel sizes am i able to put on my car . My car is a Subaru Impreza 2006 2.0 r comfort sedan (118 kw, 160hp, Ej204 engine). And i would like to ask that going from 55 ET to 35 ET is a lot, and can cause issues to car? Thanks for the answer. And i would like to ask what is the standard ET for my car :)! Hi! I would like to ask that what tire, and wheel sizes am i able to put on my car . 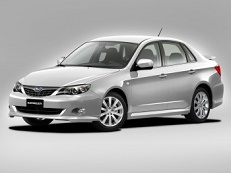 My car is a Subaru Impreza 2006 2.0 r comfort sedan (118 kw, 160hp ). And i would like to ask that going from 55 ET to 35 ET is a lot, and can cause issues to car? What is the standard ET(offset for my car) ? Hi,Master Chief,For your car.the offset is 55mm for 18'' and 48mm for 17'',So,it is not good to change from 55 et to 35 et.Because the normal error offset for wheels is +-5,If beyond it,wheels will rub the wheel fender. 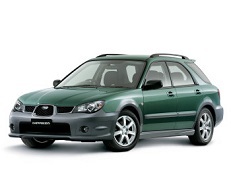 I have a subaru impreza 2.0 r 2006 (118 kw, 160hp) sedan. And i wanna take ur advice on what wheel would fit my car perceftly or what would be the best choice. So the case is i have a 225/40/R18 wheel/tire on my subaru impreza. But im worrying a bit that as u said 55 ET is the standard value to my car. And this 225/40/R18 wheel has an ET value of 35(so i guess thats way too much difference for the car suspension, etc...). Altough it runs perfectly with it, not touching the fender or something like that even in turns runs perfectly. So now I wanna buy this wheel and tire setup ----> Team Dynamics Pro Race 1.2 17"X7.5" (5X100) ET53 and (225/45/17) tire. From what i see this is perfect for my vehicle in terms of ET value cause it has the same amount of ET value. My question is, will this Team Dynamics Pro Race 1.2 17"X7.5" (5X100) ET53 and (225/45/17) tire fit my car perfectly? And if so would it be better for the car to have a wheel that has the same value of ET? If i have to guess i would say yes. But i wanna take your advice if it will fit my car and would it be a better choice than what i have on my car (225/40/18R, ET 35). Thanks for your answer! Hi,Master Chief,For wheel offset,17*7.5'' is better than your 18'' wheels. Hi, i am one more question:). What is the best for the car? Hi! I would like to ask that what is the puncture center bore for my car ? My car is a Subaru Impreza 2.0r 2006 comfort 118kb 160 hp.